The Belgian company Basalte introduces an elegant table top accessory for Eve, their mini-malistic on-wall mounts. 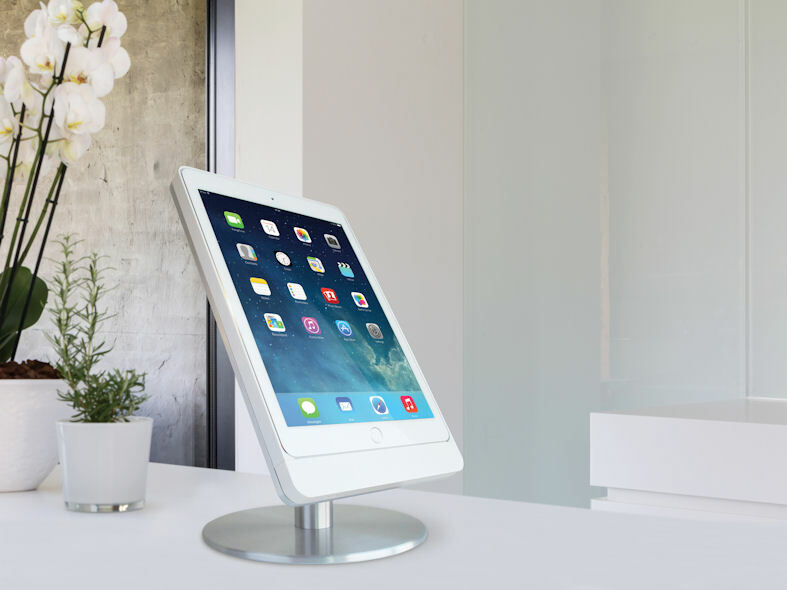 The Eve family consists of elegant on-wall mounting frames, available for the whole iPad family and now also a table base to support Eve Air and Eve mini. Eve for iPad embraces the iPad with a thin border, perfectly complementing today's most popular tablet while fully respecting its design. 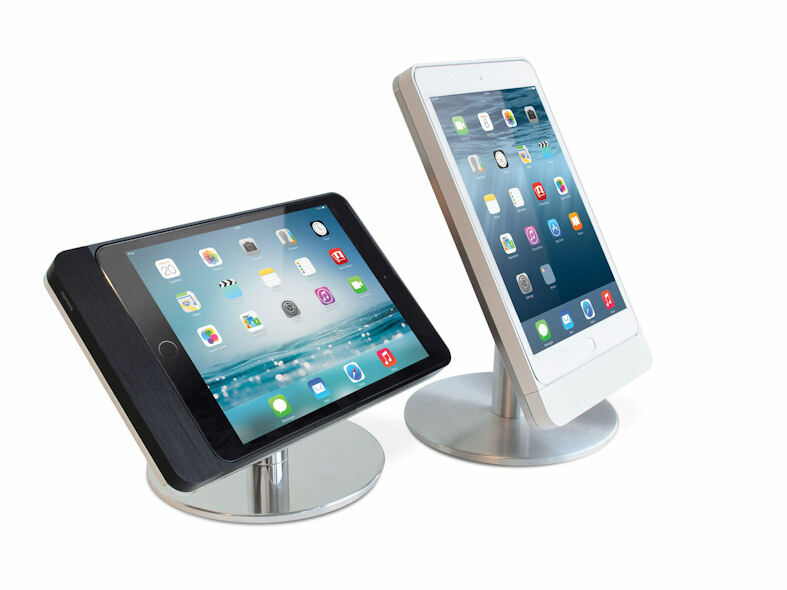 The mount consists of a frame and a rounded or rectangular cover, precision machined out of one sheet of high-quality aluminum and is available in various finishes such as brushed black, satin white and polished or brushed aluminum. 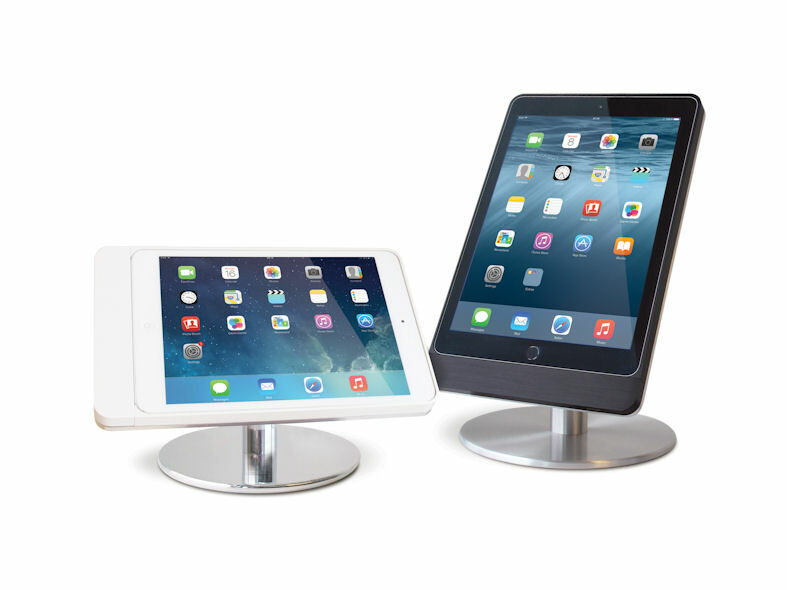 The new table base solution extends this Eve family, widening the possibilities for the elegant support of your iPad Air or iPad mini. 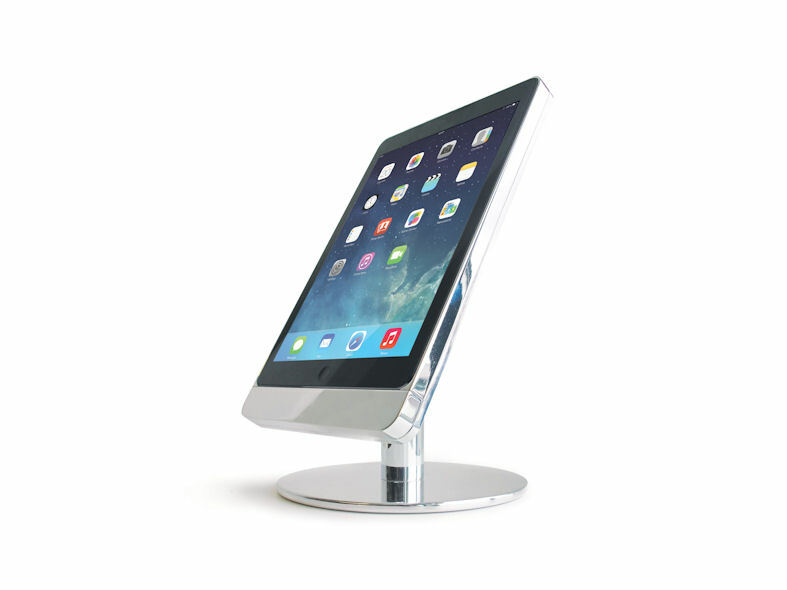 The Eve frame is installed on the table base accessory, creating a steady support of the iPad on a table or desk. The Eve table base leads to more ease of use and can be used in both residential and public applications. It serves as a perfect solution for hotels or restaurants at the reception desk or as a publicity screen. Of course, it can also be very useful as an extra screen in your kitchen or living room. Like other Basalte Eve frames, the table base is machined out of high-grade aluminum. It is available in two versions, each optimized for either a portrait or landscape orientation of the iPad. 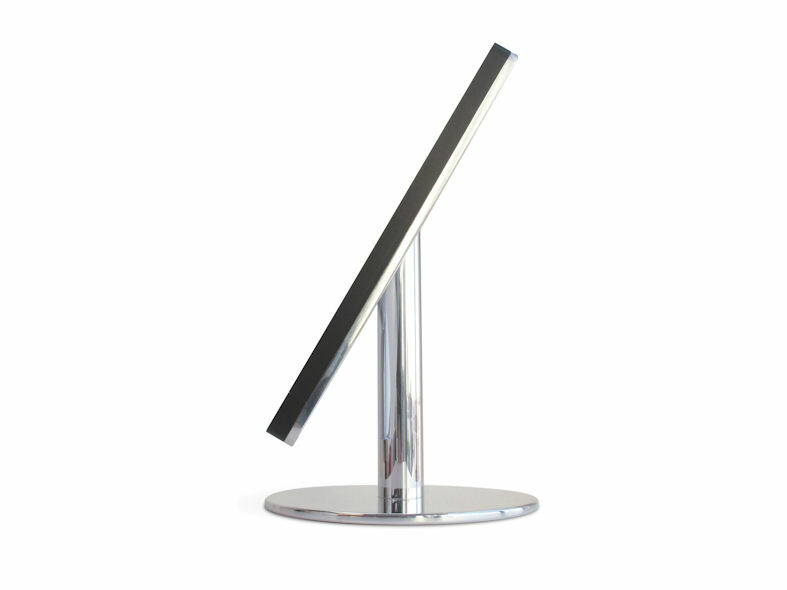 The table base is available in two finishes: satinized or polished aluminum. Because of the table base's sleek and understated design, it can easily blend in every architectural environment.